It’s no secret that I hate to sew. 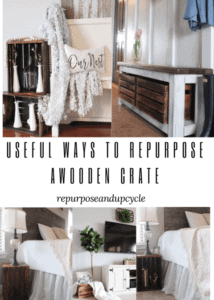 I jump through all sorts of hoops to prevent myself from pulling out the old sewing machine. Yes, I have sewed a little bit. I know how to sew the basics, but I still don’t love it. 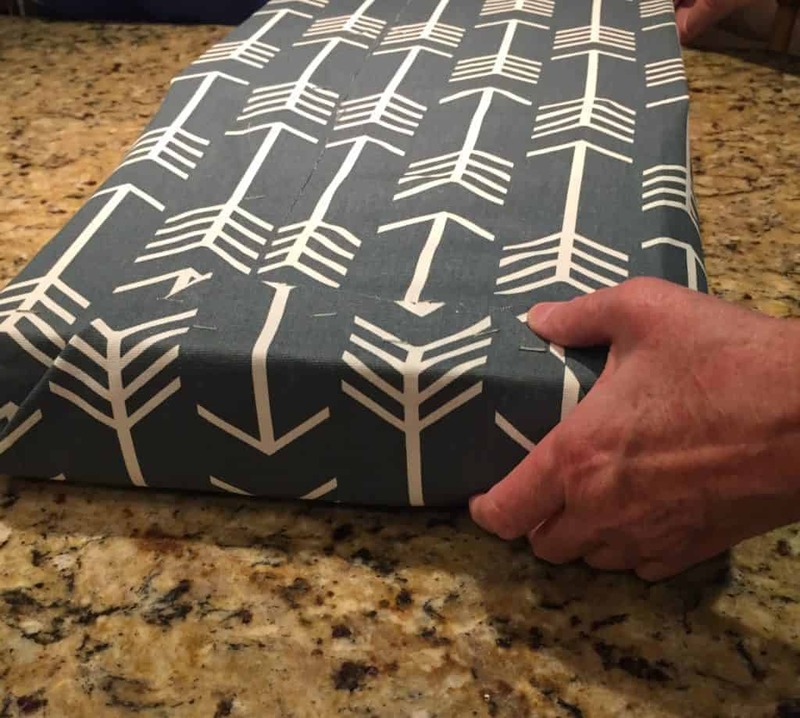 When it came time to create this box seat cushion, I knew I could create it without a needle or thread. 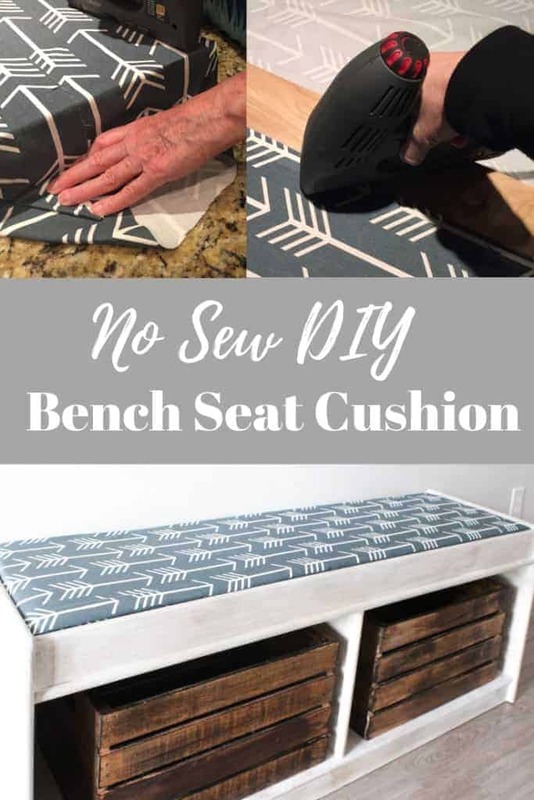 Let me show how I successfully created a no sew DIY bench seat cushion. It took less than 30 minutes, no joke! I really shouldn’t be so “anti sewing.” I think the main problem is I’m too impatient and I get frustrated threading the bobbin! 🙂 Any helpful tips on how to get back into the swing of sewing? I’m all ears. 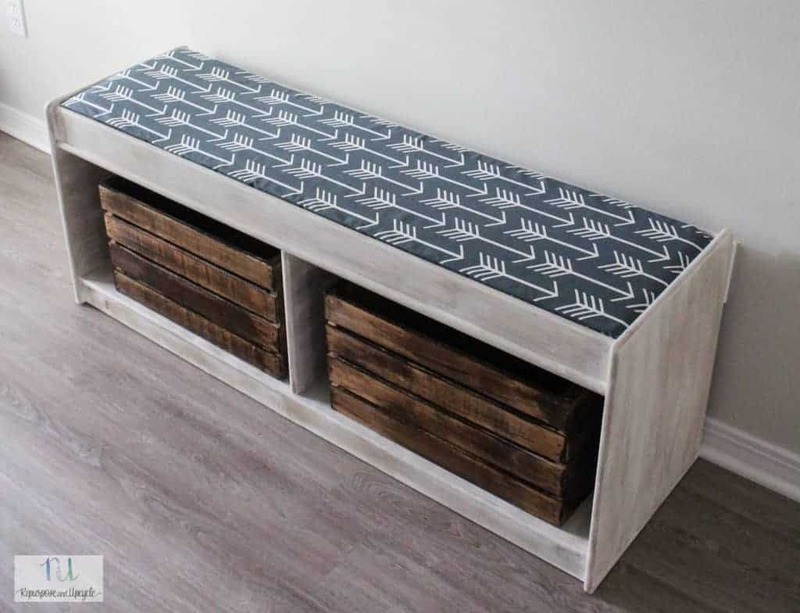 Let’s start with the materials on how to make your own box seat or bench seat cushion. This post contains affiliate links. This means that I make a small commission when you purchase from one of these links, but rest assured you won’t pay anymore for the product. Thank you for supporting my blog. 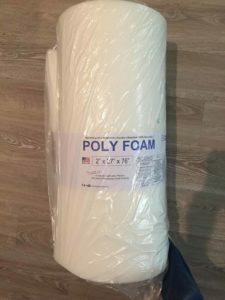 Upholstery foam cushion- This is the exact replica of what I used. I wanted it to be at least 2″ thick and it needed to be at least 64″ long. 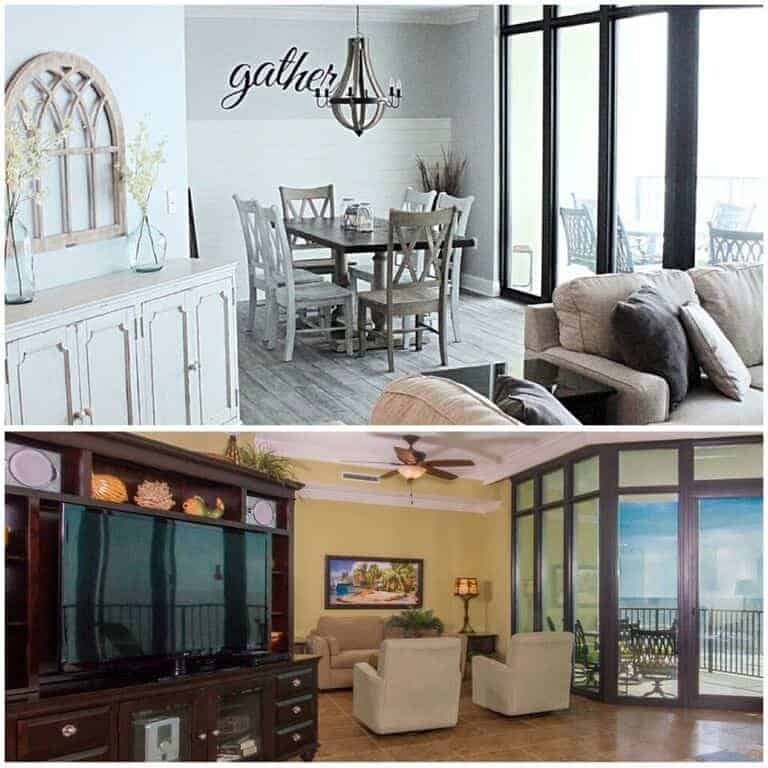 Material of your choice- Make sure to get a good, sturdy material (upholstery material would be best). 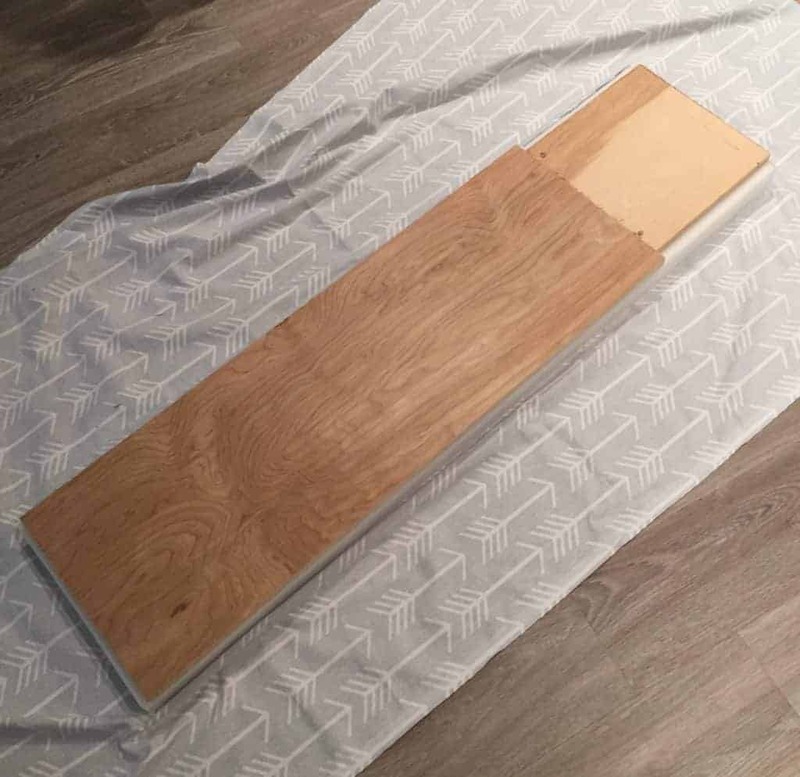 Wood for the base- I used scraps of what I had at home. If I had to buy the wood, I would have purchased plywood and had it cut to fit. Heavy duty scissors- You could opt to use a hack saw or an electric knife to cut the foam, but I have a pair of heavy duty scissors that worked just fine. 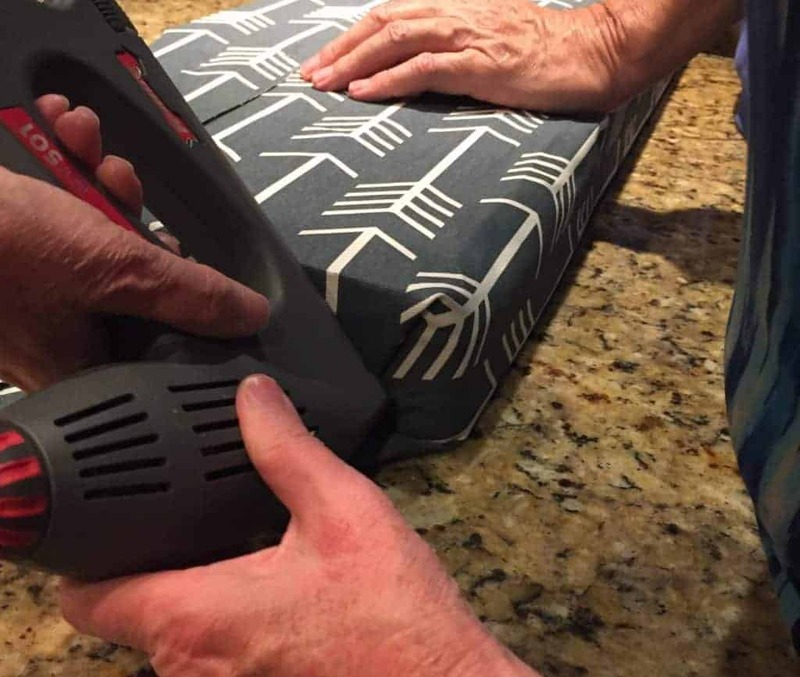 How to make a NO SEW SEAT CUSHION. 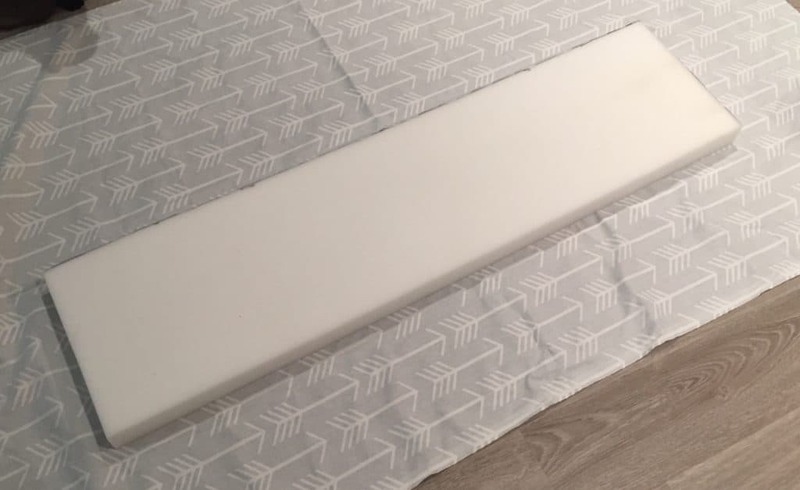 First, cut the foam to fit your space. Second, cut the wood the exact same dimensions as the foam. Third, lay the material out face down on a flat surface. Lay the foam cushion on top. Lay the wood piece on top of the foam cushion. 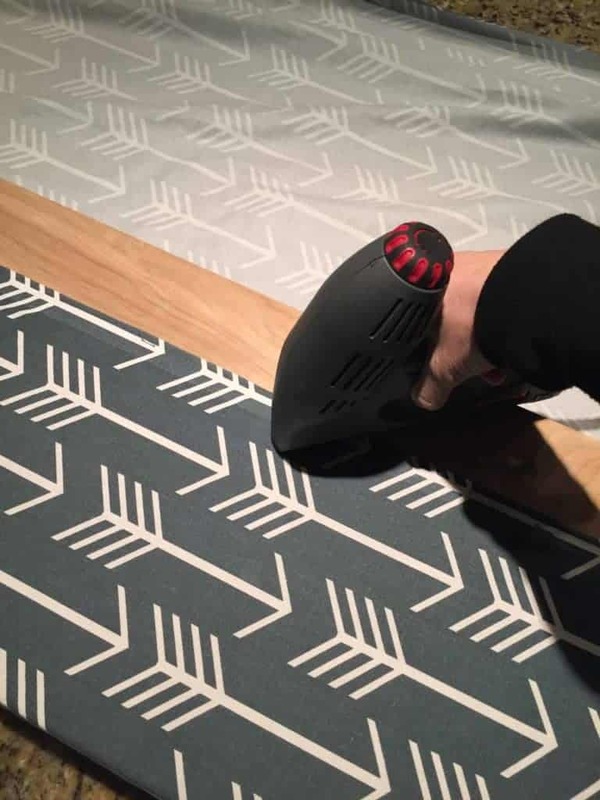 Fold the material on top of the wood and use your staple gun to secure it. 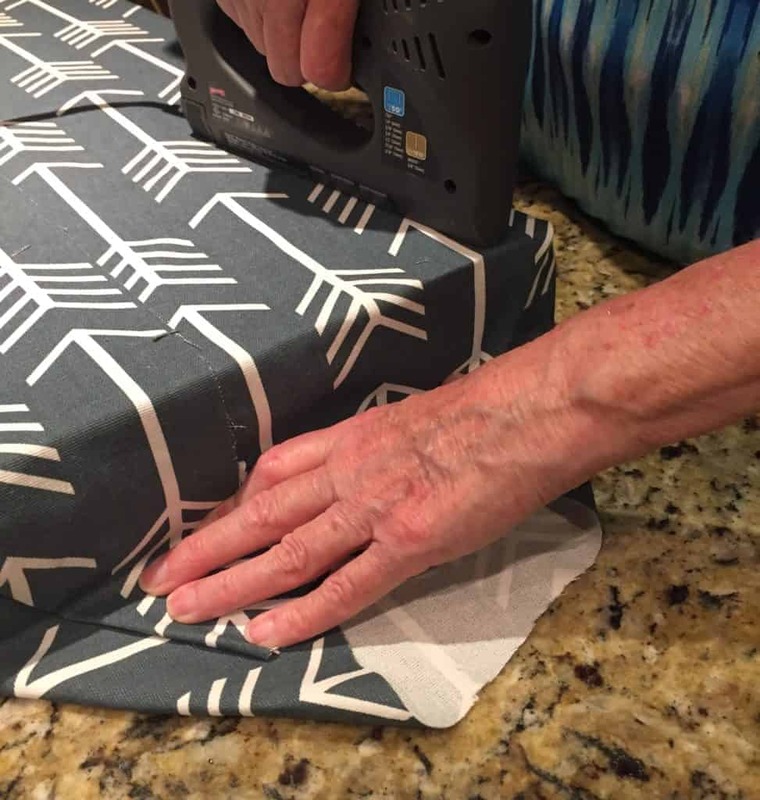 For the box corners, wrap the material like you would a present. Cut the excess material as you go. 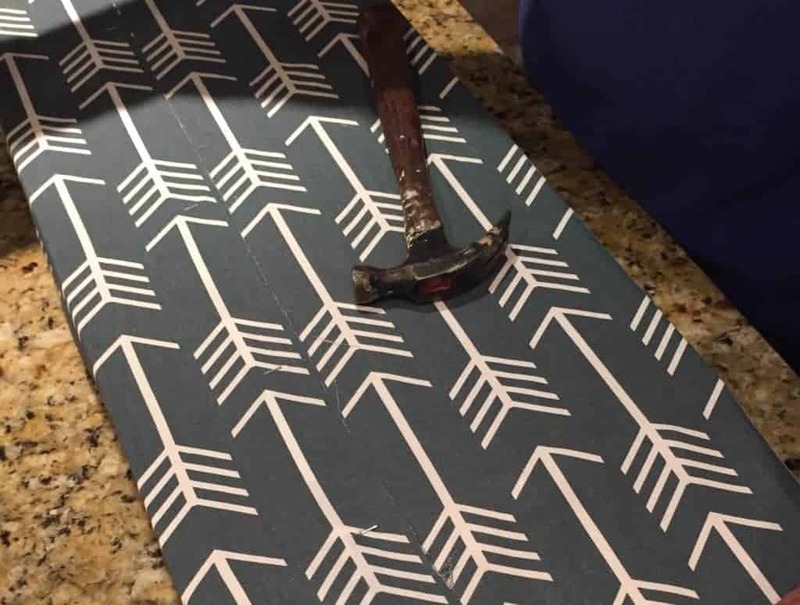 Use a hammer to make sure the nails are flush. 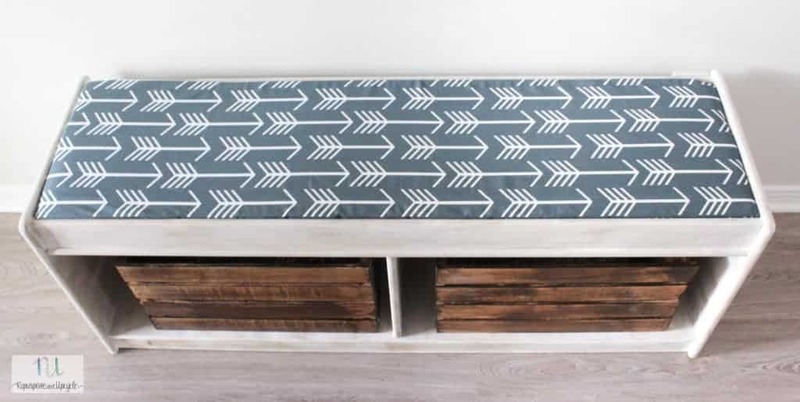 Lay your new bench cushion on your seat and enjoy! How easy was that! 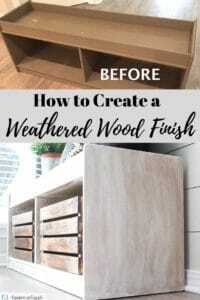 I’m a firm believer that home projects don’t have to cost a lot or take a lot of time. Ready to see it all together with the old bench that I recently completed a “weathered wood” makeover on? Just a little side note; I’m still not done with this space (I know, shocker!) I have to do a little makeover on the gallery wall above the bench and then I will unveil the full final images! Stay tuned friends. I hope you enjoyed this project! I’m excited about this space and what it will look like when I’m done. Gallery wall blog post coming soon! 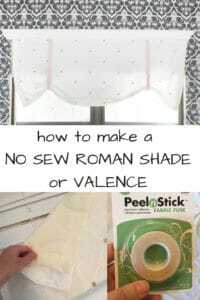 Great no-sew idea! While I can work a sewing machine, its so much easier to pop out the staple gun. 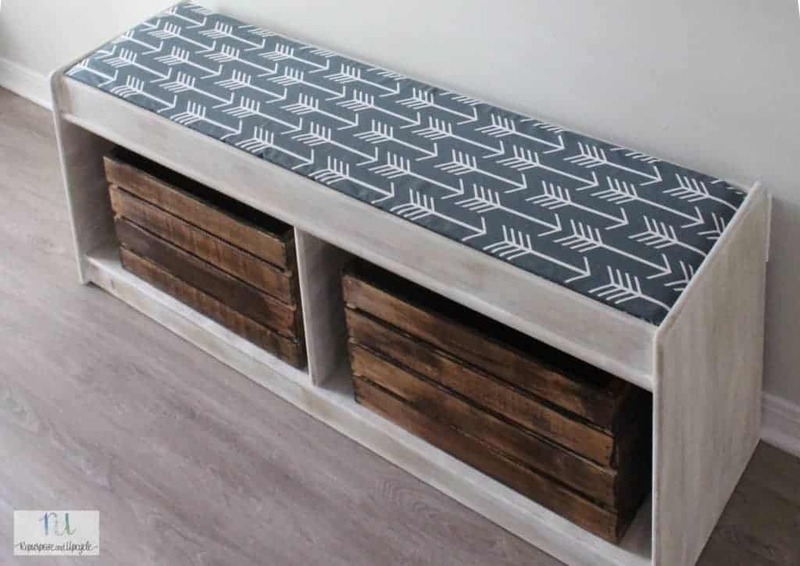 Great seated storage! I love the fabric you picked out! How simple to do! My husband is designing a chair right now. It’s taking much longer than he thought. There is some sewing machine involved. Thanks Alissa! I’m still on the fence about the fabric 🙂 I’m glad you like it. Oh my word! 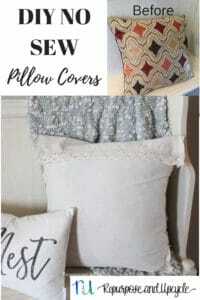 We have needed to redo the covers on our bench pillows since we bought our house, and this may actually be doable for me! I am not skilled with sewing. Perfect! I do not know how to sew but I think I could handle a staple gun! 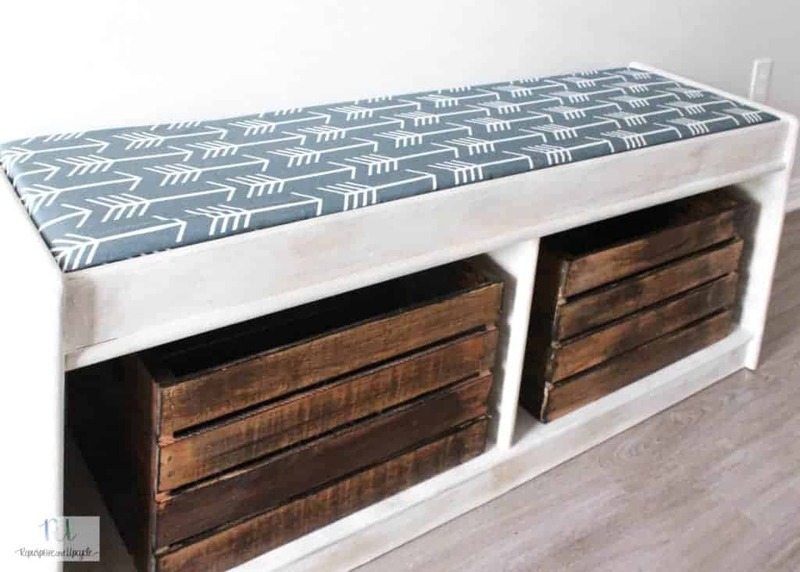 Love your bench seat!